Who ever said a machine should be efficient? The device in this video was deliberately over-engineered to water a plant in 244 steps, while illustrating a brief history of life and the universe in the meantime. Created by students at Purdue University in West Lafayette, Indiana, it sets a new world record for the most complex Rube Goldberg machine – a contraption designed to complete a simple task through a series of chain reactions. The machine was unveiled in March at the National Rube Goldberg Machine Championships held at Purdue University. The competition, first held in 1949, challenges competitors to accomplish a simple task in under 2 minutes, using at least 20 steps. Although this machine used the greatest number of steps, it encountered some problems during the contest so was disqualified. But the team tried it again afterwards and it worked – too late to compete in the championships but still valid as a world record entry. They should find out this week if Guinness World Records accepts their record-breaking feat. For more Rube Goldberg machines, check out our previous coverage of the championships, watch this cool music video by OK Go or see how an elaborate Japanese device could fix you a noodle dinner. 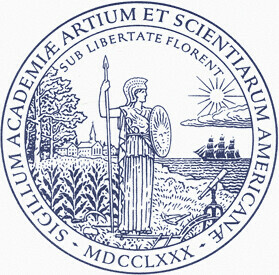 As we savor the sheer silliness of it all, we might recall that The American Academy of Arts and Sciences, which was founded during the Revolutionary War, was chartered on this date in 1780.